All Registration Fees for badges, hands on classes, demos, seminars, competitions, challenges, and Fashion show are Final Sales. There are No Refunds or Exchanges. There will be a $25 fee to reprint lost badges on site. In the event that The Americas Cake Fair 2017 is cancelled by the sponsor or by any reason of any factor outside the control of the sponsor whereas the event cannot take place due to an event of Force Majeure (including but not limited to act of God, war, revolution, riot, commotion, strikes and acts or threats of terrorism), the amount of the registration fee will be refunded, minus a $10 administrative badge fee. Reduction of space: If notice is received on or prior to May 1, 2017, the Exhibitor is responsible for 25 percent of the reduced space. If notice is received after May 1, 2017 for PDC, no refunds are issued on reduced space. Cancellation of space: If notice is received prior to May 1, 2017, all monies will be refunded less 25 percent of the total booth costs. If notice is received after May 1, 2017, no refunds are issued on canceled space. Cancellation and reduction of exhibit space may be directed via e-mail, addressed to slawry@cakefair.com, provided that the Exhibitor obtains confirmation of Cake Fair’s receipt of the e-mail on or before the cancellation deadline. In the event that The Americas Cake Fair 2017 is cancelled by the sponsor or by any reason of any factor outside the control of the sponsor whereas the event cannot take place due to an event of Force Majeure (including but not limited to act of God, war, revolution, riot, commotion, strikes and acts or threats of terrorism) exhibitor booth fee will be refunded, minus a $15 administrative fee and a 10% administrative fee on exhibitor booth fee’s. The liability of the sponsor shall be limited to that refund and the sponsor shall not be liable for any other loss, cost or expense, however caused, incurred or arising. The sponsor shall not be liable to refund any travel, hotel or costs incurred by registrants, exhibitors or their organizations. The Americas Cake Fair 2017 agrees to provide a standard display booth. 8’ high draped back wall, 2-3’ high side rails, 7” x 44” ID signage, 2 chairs, 1-6’ draped table, 1 wastebasket, company name listed on website under exhibitor tab and journal. Additional show services are the sole responsibility of the exhibitor. Exhibitors will be responsible for set up of their own exhibit. The exhibitor agrees to confine its activities to the exhibit space. Subletting space is prohibited. The exhibitor shall not assign, sublet or apportion the whole or any part of the space allocated by The Americas Cake Fair to the exhibitor. The Americas Cake Fair will use it best efforts to allocate the requested booth space. The Americas Cake Fair reserves the right to relocate exhibits which may be affected by a change in the floor plan or in the interests of optimum traffic control and exhibit exposure. The Americas Cake Fair will not be held liable if competitive exhibitors are adjacent to or opposite each other, but if possible, every effort will be made to allocate space that is fair to all exhibitors. All exhibitors must be set up within the time scheduled specified. No major changes to displays are permitted during public show hours. The Americas Cake Fair shall have the right to open any booth where an exhibitor is absent during show hours. The Americas Cake Fair will not be responsible to any exhibitor for any loss or damage cause as a result of the booth being opened and unattended during show hours. Inline booths have only one side exposed to an aisle and are generally arranged in a series along a straight line. Individual booths may be combined to form a larger inline booth space. Regardless of the number of inline booths utilized, e.g. 10' by 20' (3.05m by 6.10m), 10' by 30' (3.05m by 9.14m) etc., exhibit fixtures should be arranged in such a manner as not to obstruct sight lines of neighboring Exhibitors. The maximum height of 8' (2.44m) is allowed in the rear of the booth space, with a 4' (1.22m) height restriction imposed on all exhibit fixtures within 5' (1.52m) of an aisle. When two (2) or more inline booths are used in combination as a single exhibit space, the 4' (1.22m) height limitation is applied only to that portion of exhibit space which is within 10' (3.05m) of an adjoining booth. A corner booth is an inline booth exposed to aisles on two (2) sides. All other guidelines for inline booths apply. A perimeter booth is an inline booth that backs up to an outside wall of the exhibit facility rather than to another exhibit. All guidelines for inline booths apply to perimeter booths with the exception that the maximum back wall height is 12' (3.66m). A peninsula booth is exposed to aisles on three (3) sides and composed of a minimum of four (4) booths. When combining booths to create a peninsula booth, any service aisle space becomes part of the usable booth space. Back walls must be finished and cannot contain copy. There are two (2) primary types of peninsula booths: one which backs up to inline booths and one which backs up to another peninsula booth and is referred to as a split island booth. An island booth is any size booth exposed to aisles on all four (4) sides. The entire cubic content of this booth may be used up the maximum content of 16' (4.88m), including signage. Any Exhibitor occupying an island booth is required to submit a detailed floor plan with dimensions, including height, of all items in the booth, including hanging signage, to Cake Fair Show Management for review and approval thirty (30) days prior to the show opening. Floor plans should be sent via email to fferguson@cakefair.com. Displays must not protrude beyond the measured booth dimensions or obstruct a clear view of the neighboring booths. The booth may not be taller than 8 ft. in height except in specified areas. Please advise at time of application if display exceeds 8’ in height. Exhibitor may not attach displays to walls, structural supports or flooring in the exhibit building with nails, screws, bolts or permanent cement nor may it suspend anything from the ceiling. No exhibitor shall permit the exposure of any unfinished surface to neighboring booths. If exhibitor fails to correct the unfinished part, The Americas Cake Fair will have the right to finish such outside partitions. The cost of such repairs shall be paid by the exhibitor to The Americas Cake Fair upon demand being made. The Americas Cake Fair reserves the right to restrict the use of glaring or irregular lighting effects. No exhibitor shall dismantle or remove any part of their display before the time scheduled and specified in the Exhibitor information. Any products or materials remaining after the cut off time may be removed by The Americas Cake Fair at the exhibitor’s expense. All displays and promotional literature must be in good taste. The product or service must be presented in a professional manner and no “carnival” or “side show” sales tactics will be permitted. Free samples may be distributed. Orders for products may be taken and merchandise may be sold at cash retail prices. 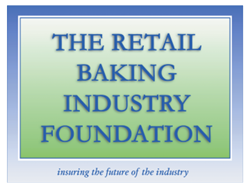 Raffles and giveaways may be conducted, but only with the prior written approval of The Americas Cake Fair. The sale and/or distribution of wine, liquor or beer is strictly prohibited in the exhibit hall, except with the consent of The Americas Cake Fair. If consent is given the exhibitor must comply with all relevant laws and regulations. If in the opinion of The Americas Cake Fair any exhibitor or its servants or agents conduct themselves in an objectionable manner, The Americas Cake Fair reserves the right to expel them from the show. In such circumstances, The Americas Cake Fair will not be liable for any damage or loss to the exhibitor or the person expelled nor there do any refund of exhibitor fees. The Americas Cake Fair shall have the right to stop the display, demonstration of or the running of an engine or machine which by causing vibration, noise, smoke, smell or any of them is considered to be a nuisance. The exhibitor shall at the request of The Americas Cake Fair stop the use of loudspeakers, microphones, amplifiers, musical instruments, gramophones, radios, film equipment or any of them. The exhibitor shall not have on its stand or exhibit or display at the show any goods of an explosive, flammable, obscene or noxious nature. The Americas Cake Fair reserves the right to refuse or terminate the exhibit or sale of any article which they may in their discretion deem unsuitable or objectionable or deceptive to purchasers. rule of the exhibit floor is to “be a good neighbor”. Exhibitor representatives should be in conservative attire to maintain the professional and businesslike climate of the exposition. The exhibitor is liable for any damage caused to the building, floors, walls or columns or to standard booth equipment or to other exhibitor’s property. Cost for repairing any damages will be billed to the responsible exhibitor. All lobbies, corridors, aisles, restrooms, food and beverage concessions, and special assembly rooms will be considered as general show areas to be used for the movement of the public and/or for their use and convenience. No exhibitor will be permitted to use these areas for the display or distribution of products, services or their attendant literature. The exhibitor may use the name of the show to promote only its participation at the show. It cannot be used in any way that is perceived as an endorsement by The Americas Cake Fair of the Exhibitors Company, product and/or service. The exhibitor acknowledges that damages are not a sufficient remedy and consents to a court injunction to prevent any unauthorized use of any trademarks or trade names in use by or the property of The Americas Cake Fair. Exhibitor grants The Americas Cake Fair the right to use the name of the exhibitor as part of its advertising for the limited purpose of communicating that the exhibitor is displaying its products or services at the show. 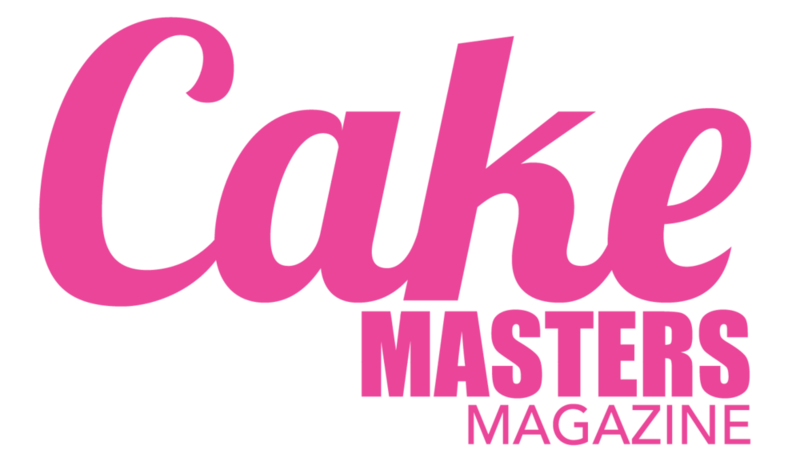 By Participating in The Americas Cake Fair 2017 (The "Event") you consent to being filmed, taped, interviewed, photographed, and recorded (the "Recordings") during and in connection with the Event by The Americas Cake Fair, its vendors, partners, affiliates and/or representatives (collectively the "The Americas Cake Fair Parties"). You also agree that The Americas Cake Fair Parties may use, publish, edit, incorporate and otherwise exploit (and to authorize others to do the same) any Recordings (including your name, voice, image, likeness, personality, situations and events) as they deem fit to use them, including in connection with any promotional purposed, telecasts, advertising, exhibition, streaming, webcasting, reproduction or other publication of these materials by and through any and all media regardless of the purpose of such promotional purposes, telecasts, advertising, exhibition, streaming, webcasting, reproduction or other publication (Collectively, the 'Uses'). You also release The Americas Cake Fair Parties, their employees, and each and all persons involved with the Event from (I) any and all liability connected with the Recordings and the Uses, and (ii) any and all claims that you have or may have for infringement of proprietary rights, invasion of privacy, violation of the right of publicity, defamation or any other cause of action you have or may have arising from or in connection with the foregoing. By entering the Event premises, you waive all rights you may have to any claims for payment or royalties in connection with and recordings and Uses irrespective of whether a fee for admission or sponsorship is charged. You also waive any rights to inspect or approve any Recordings and Uses. Cameras may be carried in the exhibit area, but under no circumstances may photographs be taken without expressed authority of the exhibitor concerned in each case. In the event of a dispute, the images will be confiscated, developed and the pictures/ electronic files in question will be returned to the exhibitor concerned, all at the expense of the offending individual. All exhibitor’s raffles and giveaways must be approved by The Americas Cake Fair prior to the show, but such approval shall not be construed to mean that The Americas Cake Fair deems the raffle or giveaway to be legally compliant. All exhibitor’s raffles or giveaways must be free and clear of any financial obligation on the part of the winner and must be in compliance with all applicable laws. Exhibitor is solely responsible to ensure that it promotional activities are in compliance with all applicable laws. All contest terms and conditions and list of prizes available and their value must be clearly posted. The Americas Cake Fair reserves the right to cease any promotional activities that do not meet with the above criteria. Mailings lists compiled by the exhibitor as the show may not be sold or otherwise distributed and are for the exclusive use of the exhibitor, unless otherwise consented to by participating individuals. Exhibitor badges will be issued only to company’s names on the exhibitor application or registration site. Badges must be worn at all times during the show. Badges are not transferable and those worn by other than the person to whom issued will be confiscated. Business cards are not to be used in badge holders. A fee will be charged for replacing a lost badge for any extra badges required in excess of the regular allotment per booth, or for badges ordered after the order date specified in the exhibitors manual. Badges are not transferable. The exhibitor will assume all responsibility for compliance with local, city and provincial safety fire and health ordinances regarding installation and the operation of its exhibit. Exhibitor shall be properly insured for same. Security will be provided by The Americas Cake Fair on a 24 hour basis throughout the show hours. Except during show hours and where possible, doors will be locked and guards will be on the premises. Limited access will be provided at other times only to bona fide exhibitors and their representatives. Such admittance will be by badge only. The removal of material from the show floor is prohibited, except where such removal is granted by application in person to The Americas Cake Fair. Security will permit removal only on presentation of a property pass issued by The Americas Cake Fair and signed by both the exhibitor and The Americas Cake Fair. Invoices must be supplied to the purchaser of any merchandise sold during the show. Invoices must be shown to security prior to removal of the merchandise from the premises. (c) Any loss, damage, injury or cost whatsoever suffered by the exhibitor by reason of any change in the date, time or place of exhibitor or the abandonment thereof. The exhibitor shall be liable for and will indemnify and hold harmless The Americas Cake Fair and its parent affiliates and related companies and their respective directors, officers, employees and agents from any and all liability, causes of action, claims, demands or proceedings whatsoever, whether by common law or statute, arising out of or in any way related to the exhibitor’s participation at the show and or exhibitor’s products and/or services. Exhibitor agrees to carry Liability Insurance and provide The Americas Cake Fair with a certificate of insurance which includes General Liability coverage of: $1,000,000.00 occurrence , $2,000,000.00 aggregate and $1,000,000.00 product liability inclusive of bodily injury and or property damage for each occurrence. The America’s Cake Fair, LLC and the owner of the building (Orange County, Florida d/b/a Orange County Convention Center) must be named as additional insured (see sample on the website of the certificate of insurance that is required to participate in the show). If The Americas Cake Fair should be prevented from holding the show by an cause beyond its control or if it cannot permit the exhibitor to occupy its rented space due to the circumstances beyond its control including, but not limited to Force Majeure (including but not limited to act of God, war, revolution, riot, commotion, strikes and acts or threats of terrorism). The Americas Cake Fair shall have no further obligation or liability to the exhibitor. Any contractual agreements made between the exhibitor and any supplier shall be between those parties and The Americas Cake Fair shall not be a party thereto nor incur any liability on behalf of any one in such contractual arrangements. The exhibitor shall at its own expense employ the officially appointed contractors as stated in the show services for all electrical work. The exhibitor shall not interfere with any of the services carried out in the respect of the show premises. Any Exhibitor who has not provided the required Certificate of Insurance will not be allowed to move-in and/or set up their booth until the Certificate of Insurance is received by The Americas Cake Fair. The Americas Cake Fair reserves the right to make changes, amendments and additions to these Terms and Conditions at any time and all changes, amendments and additions so made shall be binding on the exhibitor with the provision that all exhibitors will be advised of any changes. Any matters not specifically covered herein are subject to decision by The Americas Cake Fair. All matters and questions not covered by these terms and conditions are subject to the decision of The Americas Cake Fair. In addition, The Americas Cake Fair shall have full discretion in the interpretation and enforcement of all terms and conditions contained herein and the authority to make such amendments thereto and such further rules and regulations governing the conduct of the participation in the show as it shall consider necessary for the proper presentation of the show. Exhibitor and Registrant agrees to abide by all decisions of The Americas Cake Fair and further agrees to cease any activity that The Americas Cake Fair deems to be a violation of the terms and conditions and to follow the directive of The Americas Cake Fair. This agreement shall be governed by and construed in accordance with the laws of the state of New York and the federal laws of the United States of America applicable therein. Any court of competent jurisdiction within the state of New York will be the exclusive jurisdiction and venue for any disputes arising out of or relating to this agreement.